The cross is the heart of the gospel. If you’re going to be a disciple of Jesus Christ you have to be willing to bear your cross, like He did. Jesus never used His divine power to come down from the cross. He endured it to the end because He knew that when He died, sin’s power would die in our lives. He knew that when He got up, our hope would get up too. Do you have an area in your life that you can’t seem to fix on your own and you know only God can heal? 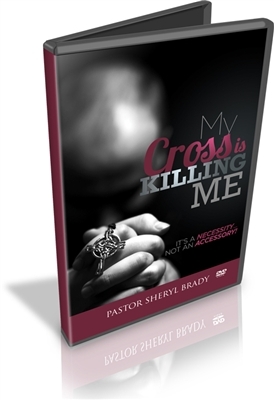 Then My Cross is Killing Me is the message for you. Join Pastor Brady as she expounds on the ultimate purpose of the cross and the passion it takes to endure it. It’s not something you wear, it is something you must bear.